Your home is your castle and your backyard is your oasis. One of best ways to enhance the enjoyment of your yard is with vinyl pools in Houston. A new vinyl pool can instantly transform your backyard into a paradise where you and your friends and family can enjoy hot summer days. There are many styles and options to choose from so when you are ready to purchase a pool the first step is to talk to a pool specialist. There are two main categories of pools to choose from including an above ground or an in ground pool. Above ground pools are easier to install but you’ll still want to have a professional put it in. Above ground vinyl pools in Houston aren’t like the flimsy disposable versions you’ll find at the big box stores. Instead you will be able to choose a pool that will be permanently installed. However, you can remove the pool much easier than an in-ground pool should you decide you no longer would like to keep it. There are many different variations in shape and size for your new pool. The size and shape may depend on what will fit best in your yard. Look at some of the photos of pools that have been installed to get some ideas as to what you might like best. You want to make sure that your new pool fits your budget. A pool specialist will meet with you to answer your questions and help determine your needs. Then, you can view some options to see which one will work best for your family. 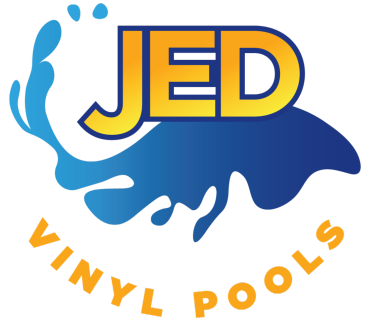 JED Vinyl Pools offers free estimates so you can make a decision. You can then decide to go ahead with the installation. The installation of vinyl pools in Houston depends on the type and size of pool that you purchase. Above ground pools generally require less time to install than in-ground pools. At JED Vinyl Pools we have extensive experience with all types of vinyl pools. We will help you with all of your pool needs and take care of the installation from start to finish. You will soon be able to enjoy a sparkling and refreshing dip in your new pool. JED Vinyl Pools is a family owned and operated business in Houston. Our knowledgeable team has the experience and expertise to handle all types of vinyl pool installations. From our first meeting to the time you dive into your new pool we will be there to help create an incredible experience. We take care to ensure that all work is done properly so your pool will provide you with years of service. We offer a complete line of services including installation, service and repair and maintenance. Our team can visit your home on a regular basis to make sure that the water stays clean and clear. When you want the best in vinyl pools in Houston call JED Vinyl Pools to discuss your needs today.